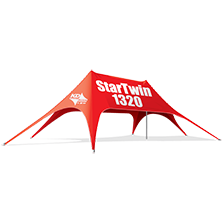 For even more space and drama, set up the KD StarTwin 1320 at your next event. The KD StarTwin 1320 is another example of KD Kanopy’s commitment to innovation and design. 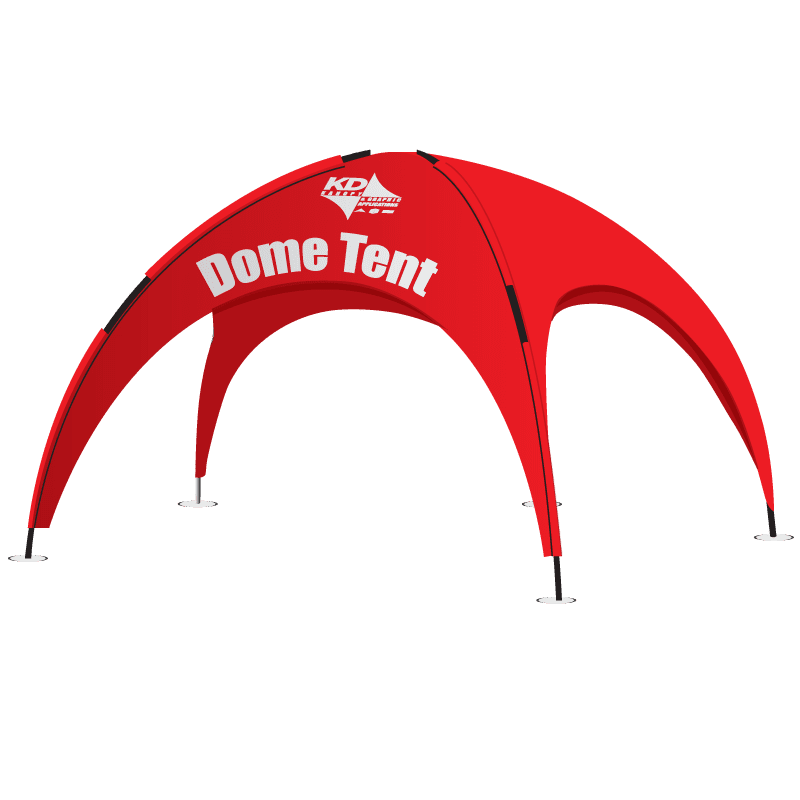 These large tents owe their strength and appearance to tension between the foot anchors and the teslescoping center poles. The StarTwin 1320 stands 21’ tall, and 74’ long. It will seat approximately 76 people at banquet tables. The StarTwin tents folds down into 5 carry bags, which fit in most standard vehicles. High Strength Aluminum is used for the StarTwin center poles. The Unique Design of the StarTwin was invented by KD Kanopy. The six elegant arches give added visual appeal and, at 7‘6” high, offer ease in entering the covered area. Determine the location of the StarTwin by measuring an open area of 53′ x 75′. Verify that this space is clear of debris, sprinklers, or gas lines. Caution: Check site for overhead power lines and underground sprinkling systems. Avoid use during heavy downpours and strong winds. Refer to your warranty for conditions which are exempt from coverage. Stretch our Cable #1 to mark the length of the StarTwin. Insert a spike into the end loops at position A and B of Cable #1. Drive these stakes into the ground. Stake the center plates at the middle loops C and D of Cable #1. Do not stake cable #1 down, it is for measuring purposes only. You are now finished using Cable #1. Attach the end loops of Cable #2 to the spike in position A and the center plate in position C. Stretch the cable into an arrow shape until both ends are taut. Place a spike through the center loop of Cable #2. Repeat this step in the opposite direction and then for each side of the stakes at positionD and B. Using a sledgehammer, drive all stakes into the ground. Leaving the head of the stake above ground. Take all shoes and slide over stakes. 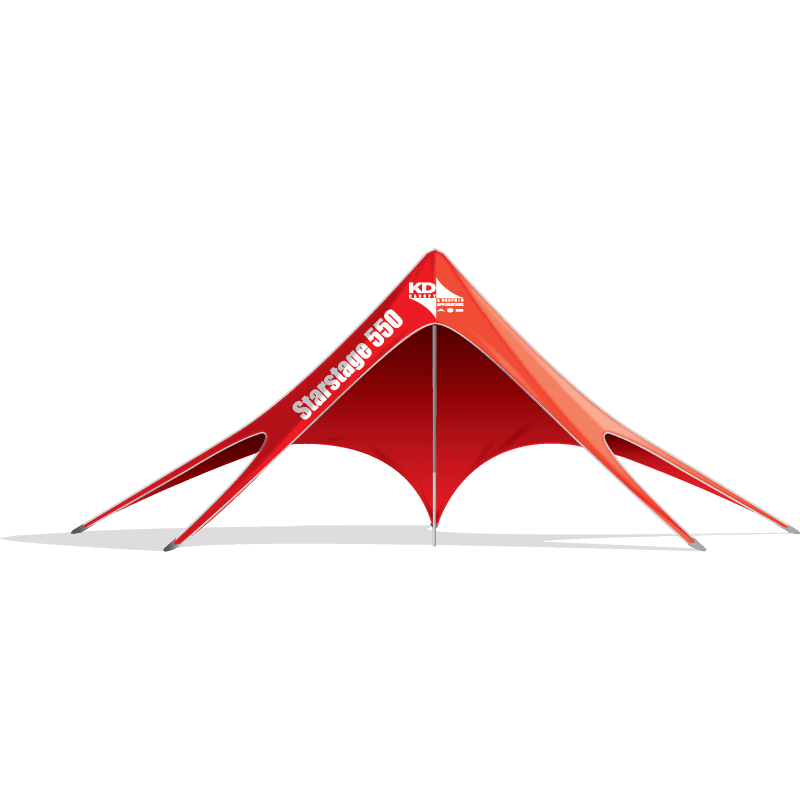 Your tent should be totally stretched out over the ground with each shoe attached to a stake. Take pole with dome, slide one pol into fitting, then another and so on. The pole should have the dome on top, all others in between and the last pole should be the one with the jack. Insert the assist bar into the hole in the jack pole. Two people lift the assembled center pole by the assist bar and go underneath the tent. 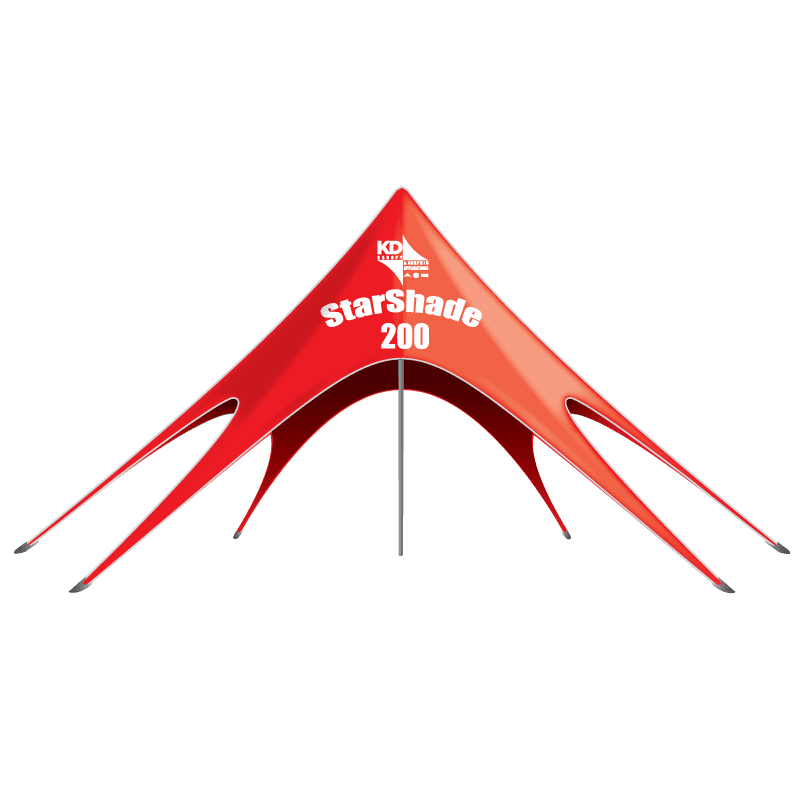 Insert the dome cap of the center pole into the ring sewn into the top of the StarTwin. Your unit id ready for use. Take down? Follow steps in reverse order.